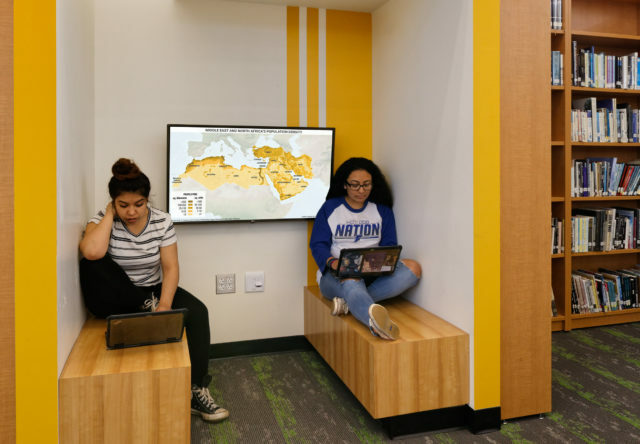 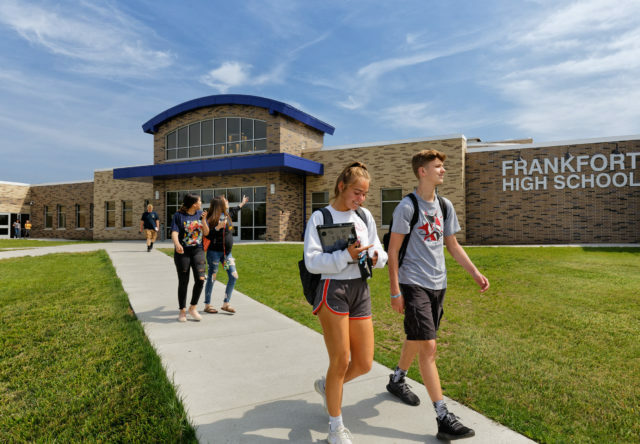 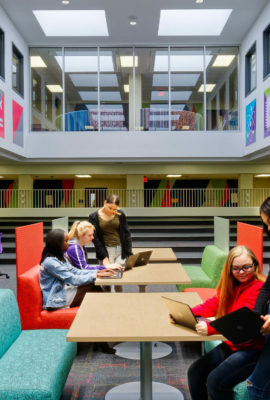 Renovations to Frankfort High School have brought students new opportunities for collaboration, personalized learning and multimedia production. 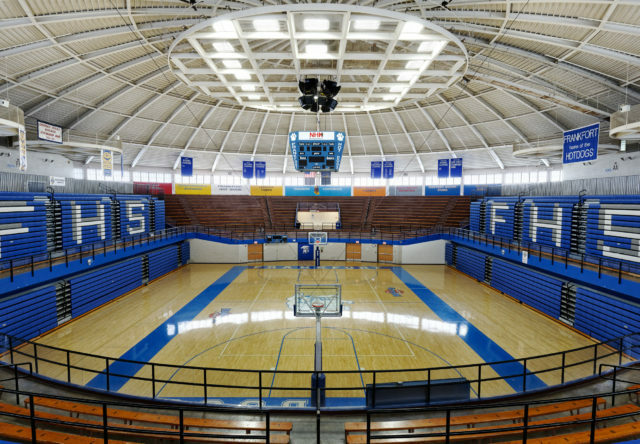 After the district passed a $30 million referendum in May 2015, Fanning Howey delivered a fast-track design process that allowed Frankfort to take advantage of a favorable construction market. 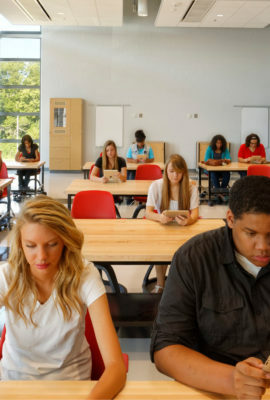 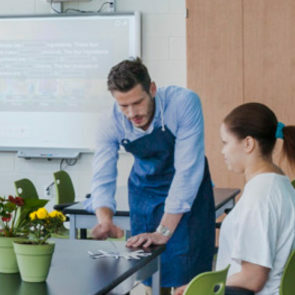 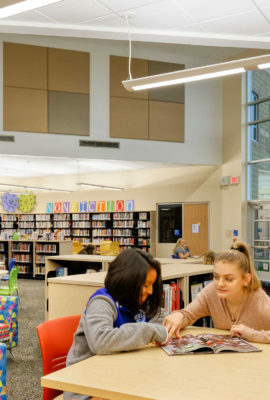 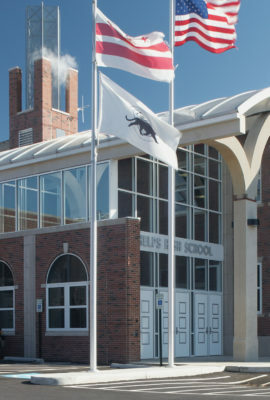 Initial bids arrived $6 million under budget, allowing the district to incorporate additional scope, including classroom upgrades, collaboration spaces and a broadcast studio for students. 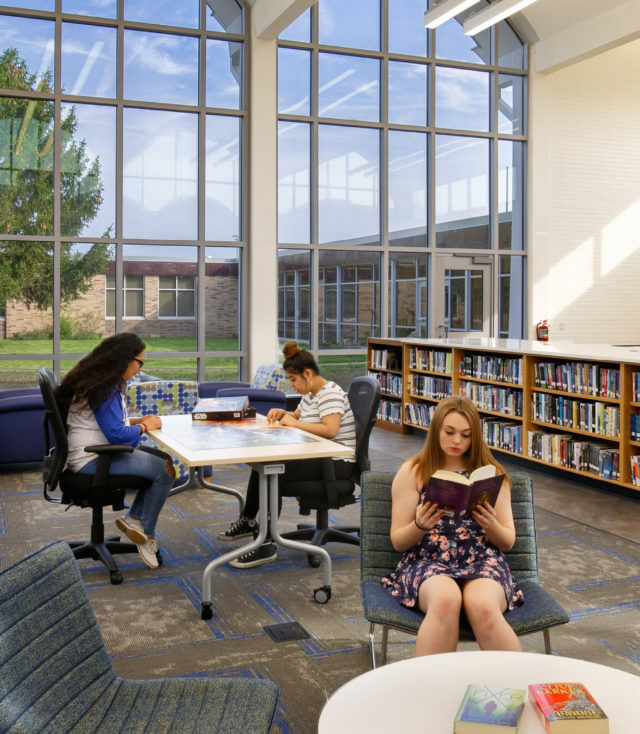 Despite adding air conditioning for the first time, annual utility costs are projected to go down by $165,000 per year due to system efficiency. 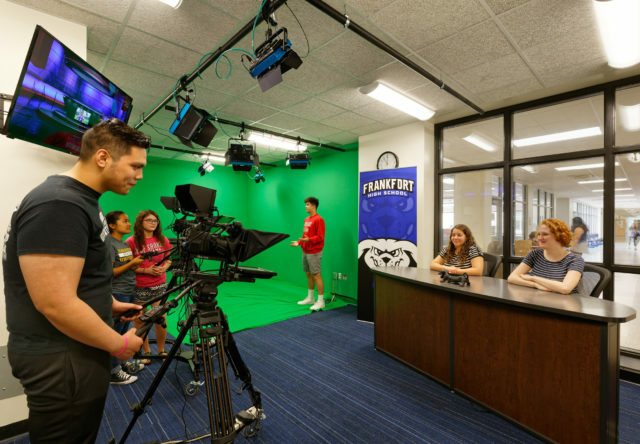 The new broadcast studio is equipped with industry-standard technology, editing software and a green room to develop future-ready skills in multimedia. 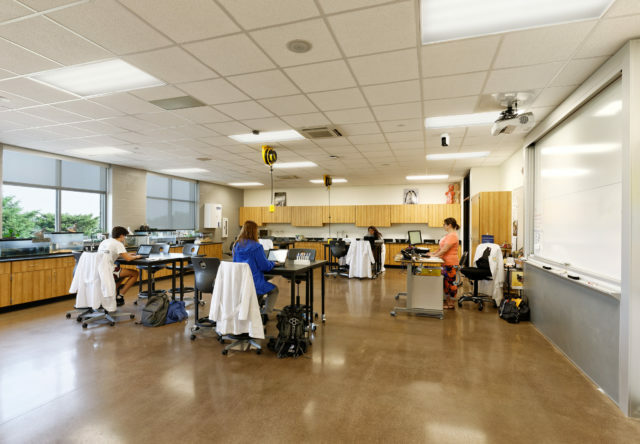 Classroom upgrades include flexible furniture and opportunities for hands-on learning. 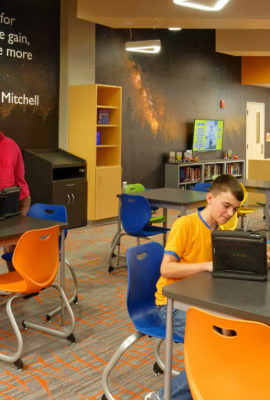 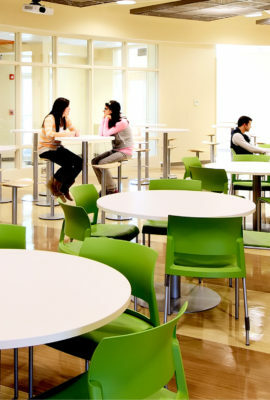 Collaboration areas have a living-room feel that encourages students to come early and stay late. 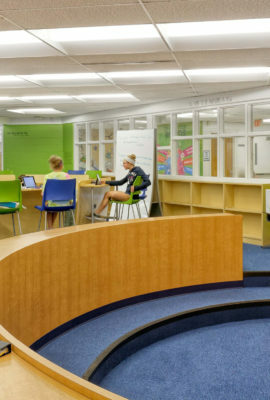 Cost-effective design strategies include utilizing found space to create study nooks with monitors for sharing work. 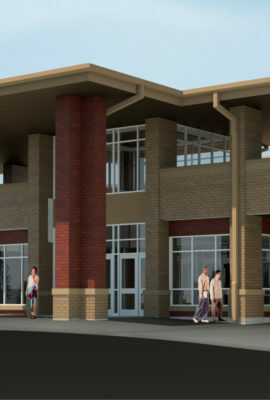 Improvements to the gymnasium include new clerestory windows for natural daylighting, mechanical upgrades and safety improvements. 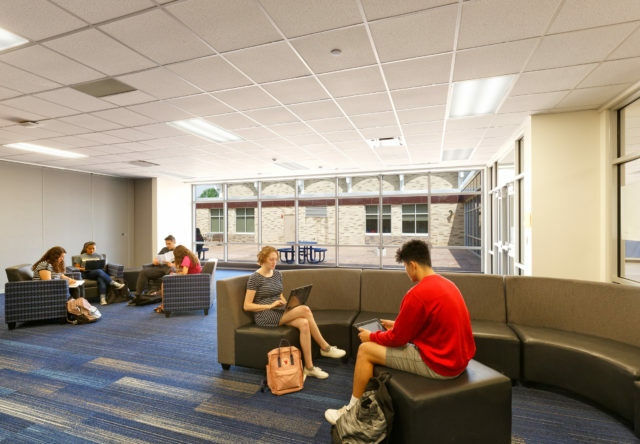 Despite adding air conditioning to increase student comfort, annual utility costs are projected to go down by $165,000 per year due to system efficiency. 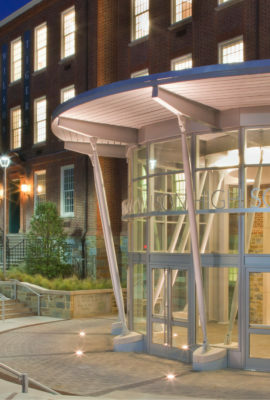 Fanning Howey has most certainly lived up to their stellar reputation. 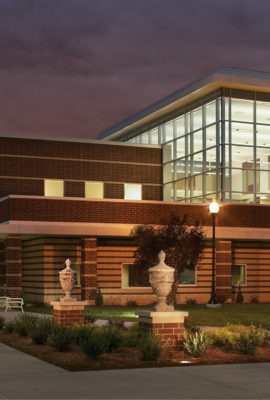 They have an extraordinary understanding of the construction process and the Indiana laws that govern the process.